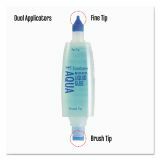 Features two applicators to cover all your gluing needs. 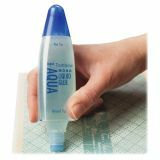 Wide tip for large areas and pen style for narrow, precision gluing. Glue won’t leak or clog. 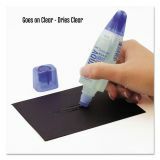 Dries clear and creates a permanent bond on paper. 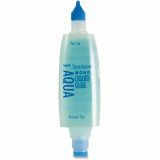 Tombow Mono Aqua Liquid Glue, 1.69 oz, Bottle - Liquid glue dual-applicator delivers a strong permanent bond that goes on clear and dries clear. 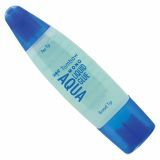 Use pen tip for small areas or a fine line of glue. 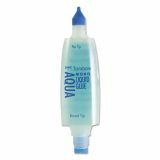 Use broad tip for large areas. 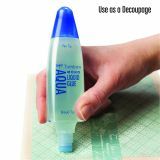 Ideal for photos, cardstock, fibers, buttons and more. 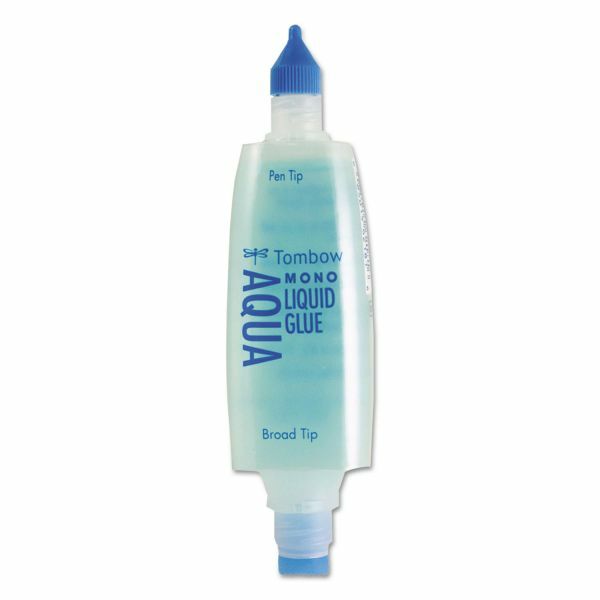 Glue is acid-free, nontoxic, odorless and washable. 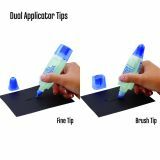 Glue pen won't leak or clog. ACMI certified.